I use quite a lot of baking powder as I don’t tend to buy Self Raising flour (it’s more difficult to find and more expensive in France) so I use baking powder in baking. But sadly my biggest use of baking powder is to clean burned pans. Probably once every two months or so. Today’s was the most spectacular for a long while. NOT my pan. I’ve never had one quite this bad. I’m making banoffee pie to take to the Church Thanksgiving meal tomorrow. This requires boiling a tin of condensed milk for three hours in a pan of water to make a delicious toffee concoction. This pan does require topping up with water from time to time. That’s where I made my error! I put it on at about 9.30, and went about my Saturday morning…I was almost back from the shops (at 11.30) when I remembered the pan…Unfortunately Mr D had the door to his study firmly closed so the odour of smoking pan and burning paper from the label did not alert him to the small fire hazard that was beginning to smoulder down below. The kitchen door was closed too, so the nascent tendrils of smoke hadn’t woken the alarm either. I got back and poured lots of cold water onto it…Cue hellish hisses and billows of steam. The tin of condensed milk is bowed at both ends, but I don’t think it’s actually split; I’m debating whether it will explode if I try opening it, to see what has become of the contents. However, for my banoffee pie I have started a new boiling of a new tin. And this time, I’ve put the timer on beep alert. This is what it SHOULD end up looking like. Note: the last few days’ posts have been over at . Mostly preoccupied with snow. And food. 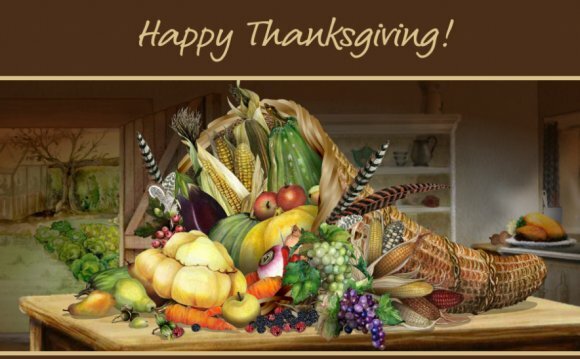 Also, I recommend you pop over to the Jacqui Lawson e-card site and preview their Thanksgiving card entitled “Pecking Order” I loved it so much that I had to send it to my American blogging friends. I only have two. Sigh. Oh bugger. That was it! I had to turn off the heat under the condensed milk. The second can had just exploded! Toffee sauce all over the kitchen: walls, floor, ceiling, work surface, cooker, pan. Oh yes…the pan. Does anyone have anymore baking powder?! I’m not boiling up any more toffee sauce, so I’m hoping that the first can will have some usable toffee sauce in it (when I can open it) which I can mix with Greek yoghurt and creme fraiche to make a kind of banoffee-pie-that’-light-on-the-offee. Otherwise, I may have to sacrifice my half of the white chocolate bar, melt that and cobble together some kind of white chocolate cream and banana pie. What larks!